GOV. KENNETH MAPP: In this photo explaining the dire straights the territory is in financially. CHARLOTTE AMALIE — Gov. Kenneth Mapp says that he will be gone for five days lobbying airlines for more non-stop flights to the Virgin Islands — especially St. Croix. The three-paragraph press release issued by Government House on Saturday does not say specifically which cities Mapp is planning to visit — nor which airlines he has scheduled appointments with. The Government House statement said Mapp’s State of the Territory address in January promised that he and the V.I. Department of Tourism would try to increase non-stop flights to the territory from such cities as Houston. The chief executive said that flights from Houston have “expanded” over the last year and the government will try to make that happen from Boston and Washington, D.C. as well. 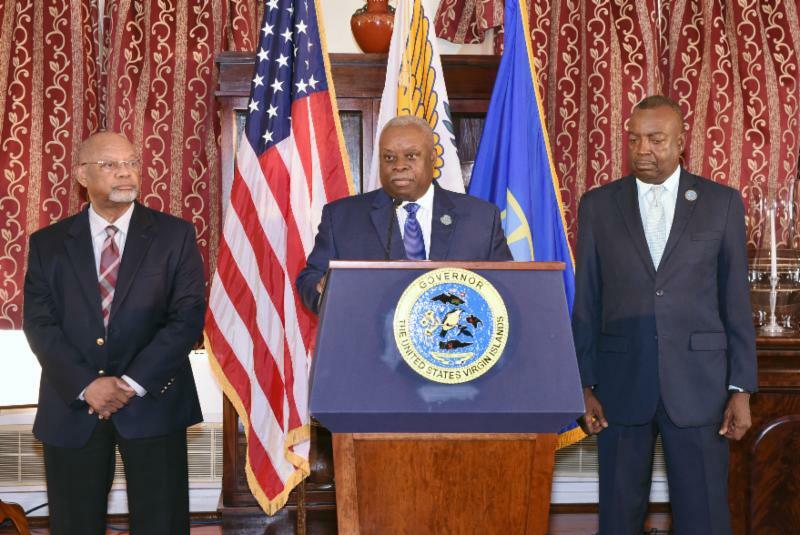 In his absence, Mapp said that Lt. Gov. Osbert Potter would be acting governor from April 2 to April 7.